2016 Nissan with parking sensor rear, airbags (front and side), bluetooth system. Grey/Silver with beige interior. Automatic, 17 inch wheels, rear camera, airbags (front and side), other color interior, black exterior. Price: AED 79,500. 2015 Nissan X-Trail price AED 63,950, with fog lights, AUX audio in, ABS. It has beige interior and is Brown. 2015 Nissan X-Trail with DVD-player, 17″ wheels and Xenon headlights. Price reduced! Grey/Silver SUV/Crossover, tan on the inside with roof rails and USB. 18″ wheels. AED 73,500 for this Automatic Nissan X-Trail with 17 inch wheels, power windows, front wheel drive, beige interior, white exterior. Imported spec 2013 Nissan X-Trail, 4 cylinders, black SUV/Crossover with black interior. It comes with sunroof and AUX audio in. Automatic Nissan X-Trail with 15 inch wheels, power locks, air conditioning, grey/silver on the outside, beige interior. GCC spec Nissan X-Trail, white SUV/Crossover with beige interior. It features air conditioning, 17 inch wheels and CD player. GCC spec 2015 Nissan X-Trail, 4 cylinders, white SUV/Crossover with beige interior. It comes with analog clock and bluetooth system. Automatic, 17 inch wheels, spoiler, rear wheel drive, grey interior, red exterior. Price: AED 54,500. Wissam - When looking for a second hand import Nissan X Trail SV, it took a while to find one for a good price. I love this vehicle for its unique looks even if the interior options aren’t great. Pros: Fuel economy form the 2.5 litre and unique look. Bilal - When I got my pre owned Xtrail ST I wanted to hit the sands of the UAE immediately, unfortunately, it didn’t go too well. Driving around on the streets of Dubai is very easy as is parking due to its small nature. Kevin - Back home, these cars are very popular and they appear to be the same here as well as I had to buy a used X Trail when I moved to Dubai. With their small presence, it's very similar to driving a sedan which makes it perfect for the UAE. Running costs are low as are maintenance costs. Pros: Size and engine economy. As a Japanese manufacturer, Nissan cars are ultra reliable. 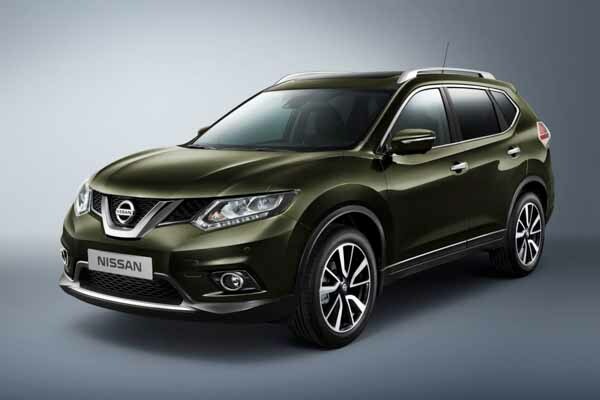 Due to the brand's popularity finding someone to buy used Nissan X-Trail in Dubai, UAE is easy, and you’ll be able to sell it at a reasonable price even in the export market. With its small presence, it packs a small engine with enough power to keep you moving. Continuing with its small stature, it has a surprising amount of space inside not only in the boot but for all the five passengers inside as well. A small nature also gives these cars a sedan like drive. 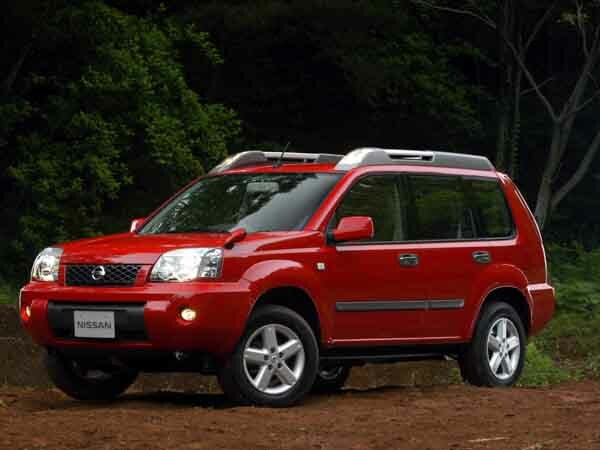 Debuting in 2000 with a boxy shape, the Japanese brand aimed this vehicle solely at the younger generation. However, it proved popular with the older generation. It may not have a million specs to enable the comfort of a Range Rover, but it has enough to keep everyone inside happy. Road rivals: Toyota Rav 4, Hyundai Tucson and the Honda CR-V. 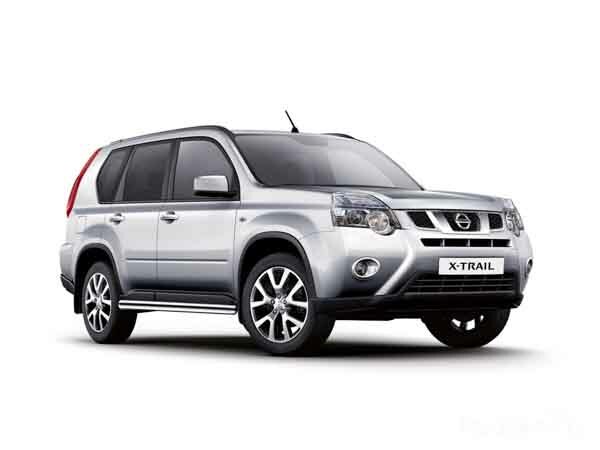 In its first generation, the Nissan X-Trail debuted with a boxy shape and enough specs to rival a motorcycle. Even though it appeared small, interior space was promising with enough room for five occupants and camping equipment. Basic options include fabric seats, radio tuner, manual accessories and 15-inch rims on each corner. Available in a variety of trims including the S and Sport, these packages offered a little more bang for your buck with roof rails, cassette player and in later years powered accessories, CD player, multiple airbags, climate control and larger rims. Power comes from a 2-litre or 2.5-litre petrol four cylinder motor mated to an automatic or manual transmission. In base, models power is sent to the front wheels whereas top trims have all wheel drive. In 2005, the boxy SUV received a minor facelift and sported a new front end with revised headlights. Once again in 2007, the compact SUV went under the knife for yet another facelift. Certain parts of the world also received a GT version with a turbocharged aided engine capable of 280 horsepower. Entering its second generation, the boxy SUV kept its original shape with a few extra curves to give the vehicle a rounder appearance while being larger at the same time. Trim levels from the previous generation transition across with a selection of new options that included CD player, sunroof, media inputs, roof rails, cruise control, multi-function steering wheel and fog lights. In certain trims, instead of the dashboard being centrally mounted just above the centre console, it could be installed on the steering wheel instead. The GT trim was dropped in these years. Once again the four-cylinder petrol motor returned with either a manual or automatic transmission. CVT was also introduced in this generation. 2014, 2015, 2016 and 2017 Nissan X-Trail for sale in Dubai. In the third generation, the vehicle strafed away from the boxy shape instead took note from the Pathfinder and Murano of the years. Now with a round, more fluid shape, the small SUV created a larger impact in the market. With the biggest style update taking place, the interior was dramatically improved too. Options now include keyless start, navigation, Bluetooth, media inputs, leather seats, powered seats, CD player, ABS, Xenon headlights paired with LED’s and powered moonroof, Not all were standard on all trims. Powering the wheels in the generation is either a 2-litre or 2.5-litre four cylinder petrol motor with outputs ranging from 140 to 170 horsepower respectively. Power is channelled through a CVT, 6-speed auto or 6-speed manual gearbox.